“We do not and will not ever tolerate acts of hate in Snohomish County. The violent behavior directed at members of our community over the weekend simply because of their race is disgusting," Snohomish County Sheriff Ty Trenary said. 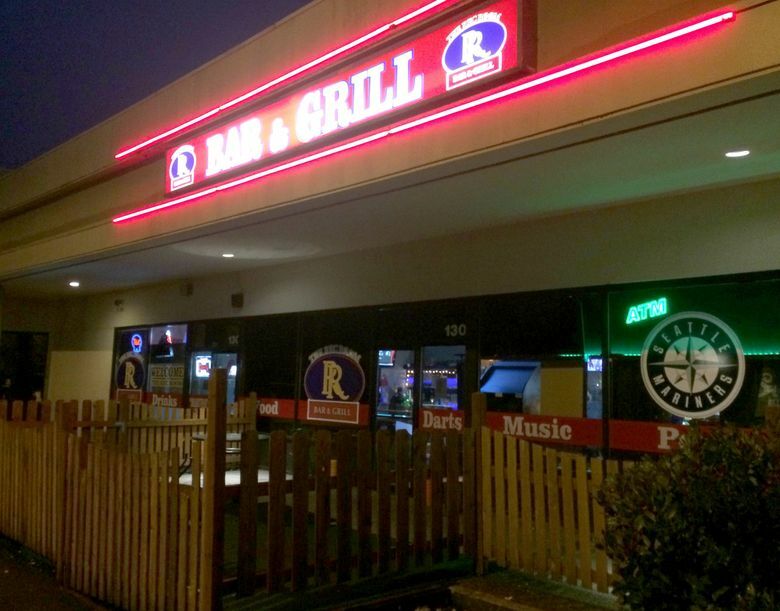 The Snohomish County Sheriff’s Office and the FBI have opened a joint hate-crimes investigation into the arrests of eight “self-professed” neo-Nazi skinheads accused of assaulting an African-American man at a Lynnwood tavern Saturday night, according to the sheriff’s office. Seven men and one woman are under investigation for alleged violations of the state hate-crime law, according to a document filed by a sheriff’s deputy outlining probable cause for the arrests. Seven of the eight suspects are being held in lieu of bail ranging from $15,000 to $100,000, according to the Snohomish County Prosecutor’s Office. Colwell was released on personal recognizance over the weekend. Charges could be filed as early as Tuesday. The document identifies the suspects as Randy A. Smith, 38; Cory T. Colwell, 34; Nathaniel L. Woodell, 32; Daniel D. Dorson, 23; Travis Condor, 34; Vincent B. Nutter, 28; Guy A. Miller, 37; and Leah N. Northcraft, 25. The seven men are suspected of malicious harassment — the state’s hate-crime law — as well as harassment with threats to kill, criminal mischief and fourth-degree assault, according to the documents, provided by the Snohomish County Prosecutor’s Office. Northcraft is suspected of malicious harassment, harassment with threats to kill and criminal mischief. Nutter is also suspected of DUI, first-degree driving with license suspended and obstructing a law-enforcement officer. Colwell was arrested on suspicion of obstructing a law-enforcement officer, according to the document. Colwell had been released on personal recognizance, according to the office. The prosecutor’s office has until Tuesday to file charges. According to the Southern Poverty Law Center, the suspects were in town to celebrate “Martyr’s Day,” an annual gathering of neo-Nazis on Whidbey Island to commemorate the death of Robert J. Mathews, founder of the terrorist group The Order, which robbed banks and committed murders hoping to incite a race war. Mathews died in a shootout with the FBI on the island on Dec. 8, 1984 — 34 years to the day before Saturday’s melee at the Rec Room Bar & Grill. The FBI would not comment. The agency is generally responsible for investigating federal civil-rights violations and enforcing hate-crime laws. “We do not and will not ever tolerate acts of hate in Snohomish County. The violent behavior directed at members of our community over the weekend simply because of their race is disgusting. The Sheriff’s Office is partnering with the FBI in hopes of getting the strongest sentencing possible for these hate crimes,” Snohomish County Sheriff Ty Trenary said in a statement Monday. The SPLC said Condor was seen with other supremacists at the August 2017 white nationalists rally in Charlottesville, Virginia, that resulted in the conviction last week of a man for driving his car into a crowd of protesters. According to witnesses and statements from the victim in the Lynnwood attack, the African-American DJ was playing tunes ranging from rhythm and blues to Top 40 when someone in the group told him to play “hard stuff,” meaning heavy metal. When he didn’t immediately comply, he said he was attacked and beaten. According to the probable cause document, a witness provided video footage showing the beating, according to the document. A second, unidentified person was also beaten by at least six of the suspects and witnessed the attack on the DJ, according to the document.